The Hopkinton Democratic Town Committee endorsed Jim Langevin Thursday night in his reelection bid to represent the Second District in the United States Congress. Langevin started his career in public service in 1986 when he was elected to the state’s Constitutional Convention. He later served as a State Representative and was then elected Secretary of State in 1994. Langevin was elected to the United States Congress in 2000, and currently serves as a senior member of both the House Armed Services and Homeland Security Committees. 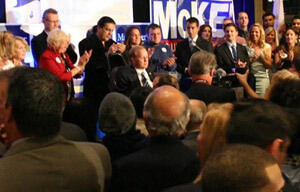 In the 2016 election, Langevin has already received endorsements from the Rhode Island Democratic Party State Committee; the Rhode Island Association of Democratic City and Town Chairs; Democratic Town Committees in Burrillville, East Greenwich, Exeter, Johnston, North Kingstown, Providence, and Warwick; and from the AFL-CIO, AFSCME, and the Rhode Island Building and Construction Trades Council. WESTERLY — Two members of the state’s congressional delegation toured three facilities that could soon work together to help boost the local economy by providing job training and new employment opportunities. The two Democrats, Sen. Sheldon Whitehouse and 2nd District Rep. James Langevin, started on Railroad Avenue, where the Westerly Higher Education and Job Skills Center is under construction. They then moved to Westerly Hospital, where they learned about a proposed collaboration between the hospital and Wood River Health Services. A tour of the South County Health Medical and Wellness Center, near Dunn’s Corners, followed. While Electric Boat will serve as the initial anchor tenant of the education and jobs skills center, the facility will offer training opportunities related to other endeavors. James Purcell, state commissioner of postsecondary education, said medical coding and related training is likely to be offered eventually, as well as more generalized computer classes. “We want to address the health care worker shortage,” he said. In some cases, Purcell said, the center will serve as an intermediary step between high school and the workforce. “I think it’s going to create a community of workers,” he said. John P. Casey, executive vice president of Electric Boat’s Marine Systems group, said finding trained workers is critical to the company’s ability to meet the demands of a contract with the U.S. Navy that calls for the construction of 10 Virginia-class attack submarines by 2023. About 3,000 additional workers will eventually be needed at the company’s Quonset Point location. Joining the tour were other Electric Boat officials, state Sen. Dennis Algiere, R-Westerly, and state Rep. Sam Azzinaro, D-Westerly. Charles Royce, whose Royce Family Fund contributed $1.7 million toward the estimated $4.5 million cost of the project, said offering a range of training opportunities will sustain the center. “There’s a little bit of ‘build it and they will come,’ but because we’ve created it to be multipurpose and we do use other institutions, I think we’ve created the right mix,” Royce said. The state Office of the Post-Secondary Commissioner will lease the facility from the Royce fund. The center is expected to partially open in mid-November. The Community College of Rhode Island is working with Electric Boat to develop a curriculum for students. The University of Rhode Island and Rhode Island College are expected to use the facility as well. Bruce Cummings, L+M Healthcare president and chief executive officer, said he had instructed his staff to work with Amy Grzybowski, the center’s executive director, to match the hospital’s need for employee training with services the center might be able to offer. Electric Boat is expected to use 14,500 square feet of classroom space, but another 20,000 square feet will be available for other uses. At Westerly Hospital, Langevin and Whitehouse received a briefing on an application filed with the federal Health Resources Services Administration for $900,000 to establish a satellite office of Wood River Health Facilities at Westerly Hospital. If approved, the Hope Valley-based health center would offer urgent care, primary care, and behavioral health services at the hospital. The services are planned for the hospital’s former Women’s Health Center, which closed in 2013 when L+M Healthcare purchased Westerly Hospital. Patients are more likely to make use of behavioral-health services when they are integrated along with other medical services, said Michael Lichtenstein, Wood River Health Services president and chief executive officer. Westerly Hospital and the health center have a longstanding collaborative relationship, Cummings said. Many of the center’s doctors are on the hospital’s medical staff. The proposal is similar to L+M’s Connecticut physicians’ group offices, which offer behavioral-health services, Cummings said. “Our physicians find this to be extremely valuable,” he said, adding that studies show about 40 percent of patients seeking medical care are also in need of behavioral health care. Whitehouse said he periodically spends an evening in the emergency department at Rhode Island Hospital to get an on-the-ground understanding of health-care issues. He said he has often seen police accompany ambulances carrying patients who are need of medical and behavioral health care. The two-story, 30,000-square-foot South County Health medical center offers a range of services under one roof, including urgent and walk-in care, primary care, women’s health services, ob/gyn, 3D mammography, X-ray services, ultrasound and cardiology. Most of the services are provided by doctors, nurses and other providers who work under the South County Health system umbrella, which includes South County Hospital in Wakefield. Bryan Liese, the system’s physician practice administrator, and Lou Giancola, South County Health president and chief executive officer, gave Whitehouse and Langevin a tour of the facility. “We’re bringing these groups of providers together in an effort to coordinate care,” Liese said. Dr. James McCormick said he has gained about eight new patients per week since the facility opened in May. Overall, Liese said, new patients have so far made up about 50 percent of the patient pool seen by the specialists who practice at the center. “There is definitely a demand in the community, so we are happy we are here,” Liese said. Langevin said the center is an example of what legislators hoped would develop as a result of federal health-care reform efforts. “Ultimately the hope is better care and lower costs in the long run,” Langevin said. MIDDLETOWN, R.I. — The Southeastern New England Defense Industry Alliance (SENEDIA) is developing the Undersea Technology Innovation Center, a Rhode Island-based hub for national undersea technology excellence, SENEDIA announced in an Aug. 16 release. The Undersea Technology Innovation Center will promote advanced learning in the undersea sector and the rapid development, testing and commercialization of innovative undersea technology for commercial, academic and defense organizations. “As the Brookings report noted, our maritime sector is one of the Rhode Island economy’s true strengths, a competitive advantage, and an industry growth area that we should continue to invest in,” Rhode Island Gov. Gina M. Raimondo said in the release, referring to the January report “Rhode Island Innovates: A Competitive Strategy for the Ocean State,” written by the Brookings Institution’s Mark Muro and Bruce Katz. “SENEDIA is one of our Real Jobs RI job-training partners, our industry partner for the P-TECH cybersecurity program, and a recipient of a Commerce Corporation Industry Cluster Grant. SENEDIA’s Undersea Technology Innovation Center is an exciting and very promising development for Rhode Island defense industry employers and the prospect of creating high-value, high-wage STEM jobs. “Rhode Island is home to a wealth of undersea capabilities,” said Molly Magee, executive director of SENEDIA. In June 2016, SENEDIA was awarded a grant by the van Beuren Charitable Foundation to begin the strategic planning to formalize Rhode Island as a national leader in undersea technology. The development of the innovation center is one part of that effort. Initial steps will be to develop a virtual undersea technology innovation center. This will be followed by establishing the physical center. State leaders representing the Naval Undersea Warfare Center (NUWC), Raytheon, University of Rhode Island Graduate School of Oceanography, General Dynamics Electric Boat, and Salve Regina Pell Center, in addition to SENEDIA leadership, have already come together to kick off the center’s planning, and have committed their support and advocacy in setting the direction of the organization. The steering committee will continue to evolve as it looks to welcome key members of the Rhode Island commercial and small business markets. “SENEDIA looks forward to collaborating with all the companies, organizations, academic programs and others that have a role in undersea technology to make this center the leading hub of undersea technology innovation,” Magee said. SENEDIA is Southeastern New England’s catalyst for thought leadership and innovation in undersea technology, cybersecurity and defense technologies. The organization is focused on providing its members and the region with the latest information about opportunities in the defense and homeland security sectors and facilitating the associated workforce development efforts. SENEDIA has over 90 members from the region with 15 new members and 76 renewal memberships since January 2016. PROVIDENCE, R.I. — The U.S. Department of Education has awarded a $781,718 grant to the Community College of Rhode Island to further the school’s efforts to support low-income and first-generation students who are pursuing postsecondary education and training. The grant, for CCRI’s Rhode Island Educational Opportunity Center, was announced Tuesday jointly by the four members of the state’s congressional delegation. “I am pleased CCRI is receiving this important funding to help students broaden their horizons and help the state build a stronger workforce,” Sen. Jack Reed, a member of the Senate Appropriations subcommittee overseeing federal education programs, said in a media release. “Expanding access to affordable higher education is one of the best ways to create economic opportunity for young Rhode Islanders and strengthen our local economy,” said Rep. David Cicilline, a member of the House Community College Caucus. The grant arrives via the Department of Education’s Educational Opportunity Centers grant program, which supports counseling and guidance on college admissions to individuals seeking postsecondary education. The EOC also helps improve participants’ economic and financial literacy, and assists in finding financial aid. “In its 37-year history, the Rhode Island Educational Opportunity Center program at CCRI has helped thousands of Rhode Islanders improve their lives through postsecondary education,” said CCRI president Meghan Hughes. The North Kingstown Democratic Town Committee endorsed Jim Langevin Monday night in his reelection bid to represent the Second District in the United States Congress. In the 2016 election, Langevin has already received endorsements from the Rhode Island Democratic Party State Committee, the Rhode Island Association of Democratic City and Town Chairs, Democratic Town Committees in Burrillville, Johnston, East Greenwich and Providence, and from the AFL-CIO. WARWICK, R.I. (WPRI) — Rhode Island Congressmen have announced Tuesday that the state will receive $200,000 from the Centers for Disease Control and Prevention to fight the Zika virus. The money will go towards enhancing efforts to better detect microcephaly and other negative birth outcomes cause by the Zika virus infection. U.S. Senators Jack Reed and Sheldon Whitehouse and U.S. Representatives Jim Langevin and David Cicilline have secured the funding for Rhode Island just weeks after the first cases of locally-transmitted Zika were identified in Florida, according to a joint announcement. In the statement, Senator Jack Reed stressed, “the presence of the Zika virus in Florida is an alarming development, and as reports of Zika continue to increase in the continental United States, it’s critical that we are vigilant in our efforts to contain the virus and ensure the health and safety of our state and nation.” Reed is a member of the Appropriations Committee, who is working to ensure the $1.9 billion emergencysupplemental funding request President Obama set forth in February to combat the virus. According to the World Health Organization, since February, the number of countries reporting cases of Zika has grown from 26 to 55. In Rhode Island, there are 21 cases of Zika, and more than 1,600 confirmed cases across the country, stated the news release. These cases have all been linked to international travel. ‎“This federal funding will help our state promptly identify expectant mothers and infants who may be infected with Zika, so they get the health care they need as quickly as possible,” said Senator Sheldon Whitehouse. The funding is set to be administered through the Rhode Island Birth Defects Program at the Rhode Island Department of Health, according to a news release. “I am glad that the CDC has made these funds available so that Rhode Island can continue its surveillance, prevention and response efforts to combat the spread ofZika,” said Congressman Jim Langevin in a statement Tuesday. Langevin, along with all other Rhode Island Senators and Representatives, believes more needs to be done by Congress to address the disease. 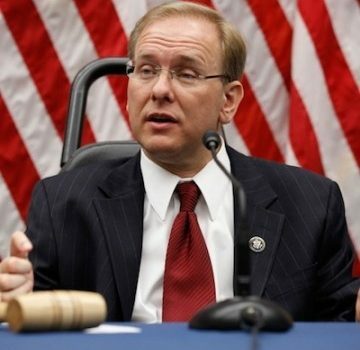 Congressman Jim Langevin will spend the month of August traveling to all 21 cities and town in the second congressional district conducting a series of business tours, constituent meetings and public events. Langevin began his tour on Monday, August 1. “Being accessible to the people I represent and to all Rhode Islanders has always been a top priority. Whether it’s at an in-person Town Hall meeting, at my quarterly Lunch with Langevin, online at my first-ever Twitter Town Hall in May, or just in the local coffee shop, I encourage my constituents to reach out and connect with me and my office to share your concerns, ask questions, and give feedback on the challenges and opportunities that are facing our communities,” said Langevin. “Rhode Island is the smallest state in the country, but it is comprised of incredibly diverse communities and is full of people with different experiences, opinions, and perspectives. Each one of those perspectives is important to me, just like every city and town in the district is important, and I can’t wait to get this adventure underway,” Langevin continued. Summer is my favorite time in Rhode Island. The heat and the sunshine, the food and the ocean views. Everything seems a little better in the summertime, and the campaign trail doesn’t feel remotely like work when you’re knocking on doors in beautiful weather and meeting Rhode Islanders with so many interesting stories and perspectives to share. Life is good. All eyes have been trained on national politics, it seems, this season, but my primary election is fast approaching. The election season is already halfway gone, and November will be here before we know it. But before the leaves change and we bid summer farewell, I’m working hard to defend my seat in Congress. I’ve enjoyed attending events in support of my colleagues at the state and local levels, and also meeting with Democratic city and town committees to discuss the challenges and opportunities facing our state and our nation. I have received endorsements from the Rhode Island Democratic Party State Committee; the Rhode Island Association of Democratic City and Town Chairs; the Young Democrats of Rhode Island; Democratic Town Committees in Burrillville, East Greenwich, Exeter, Johnston, North Kingstown, Providence, and Warwick; and from both the AFL-CIO and the Rhode Island Building and Construction Trades Council. I will continue to campaign on my record and on my vision for a stronger Rhode Island, and I hope to add more endorsements in the weeks to come. I hope you’re enjoying the summer as much as I am. Take time to enjoy our beautiful state at this wonderful time of year, and I hope to see you on the campaign trail soon! Senators Jack Reed and Sheldon Whitehouse and Congressmen Jim Langevin and David Cicilline today announced $619,322 in federal funding from the National Oceanic and Atmospheric Administration (NOAA) to support the Narragansett Bay National Estuarine Research Reserve’s work to preserve and restore the coastal and estuarine ecosystems in Narragansett Bay. “The Narragansett Bay National Estuarine Research Reserve is an important ecological and research resource for Rhode Island, giving us a barometer to observe changes in the natural environment in and around the Bay while also offering opportunities for education, recreation, and stewardship. I want to commend the Rhode Island Department of Environmental Management and NOAA for their continuing partnership in managing this important reserve,” said Reed, a member of the Appropriations subcommittee which provides funding for NOAA programs. The Narragansett Bay National Estuarine Research Reserve is a partnership between NOAA and the state’s Department of Environmental Management (DEM) to promote informed management and sound stewardship of Rhode Island’s coastal resources. The Reserve conducts research, education, stewardship, and training activities for students, educators, and coastal-related organizations. The Narragansett Bay National Estuarine Research Reserve, which was founded in 1980, is a member of a network of 28 National Estuarine Research Reserves, representing distinct coastal ecosystems across the country. The Narragansett Bay National Estuarine Research Reserve encompasses 4,453 acres of land and waterways on Prudence, Patience, Hope, and Dyer Islands. Properties owned by the Reserve are used as monitoring sites for detecting ecosystem shifts caused by climate change and coastal development.